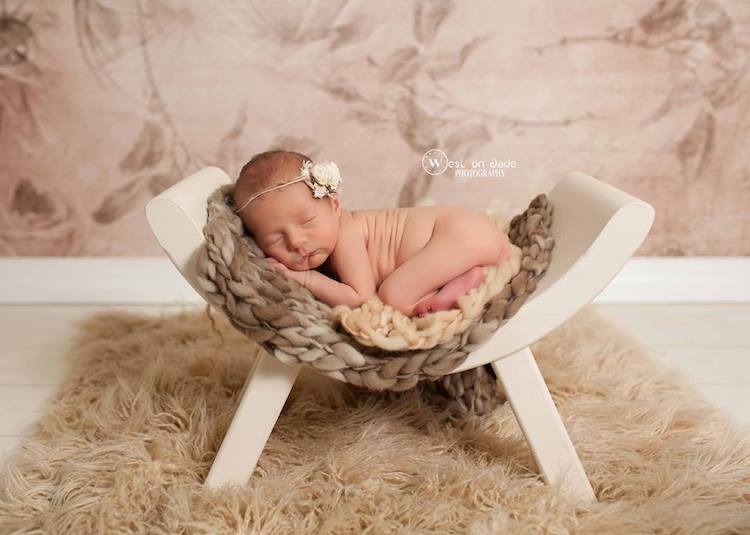 Newborn photo shoots are always tricky, but when you add two other young kids? That is a true challenge. 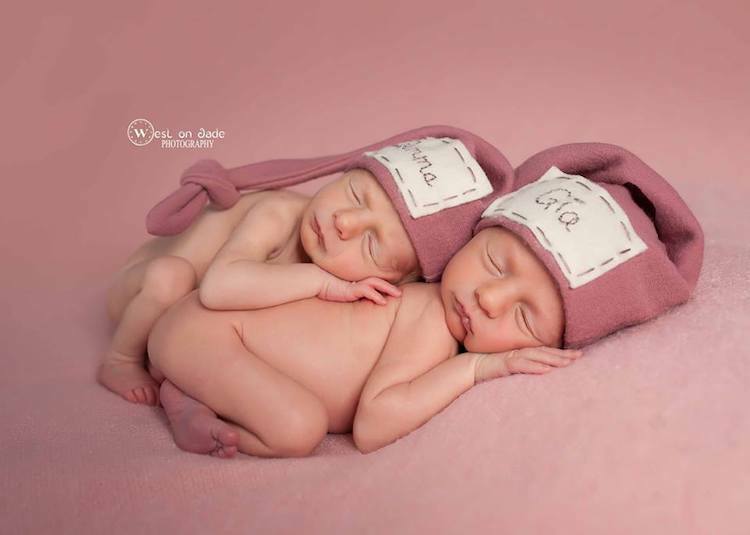 Photographer Juliet Cannici and her wife Nikki recently welcomed twin girls Gia and Gemma, adding to their brood of 3-year-old twins Nico and Siena. 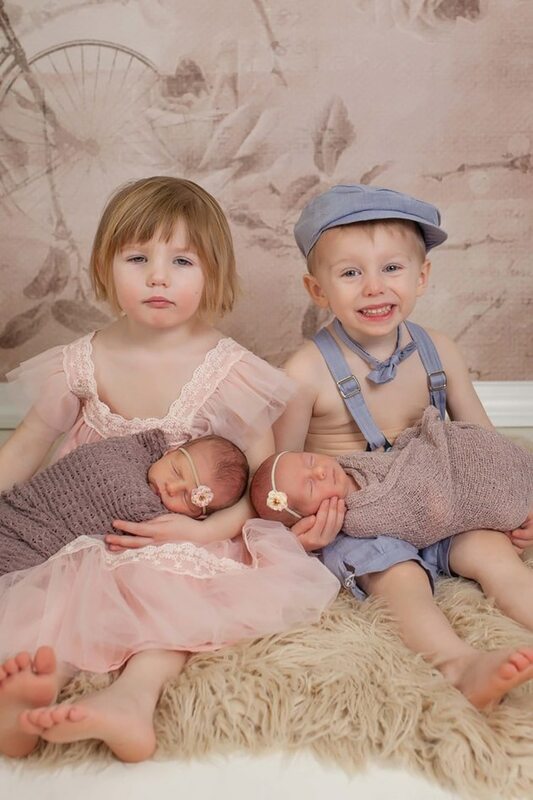 So far, the now-family of six are getting along swimmingly. 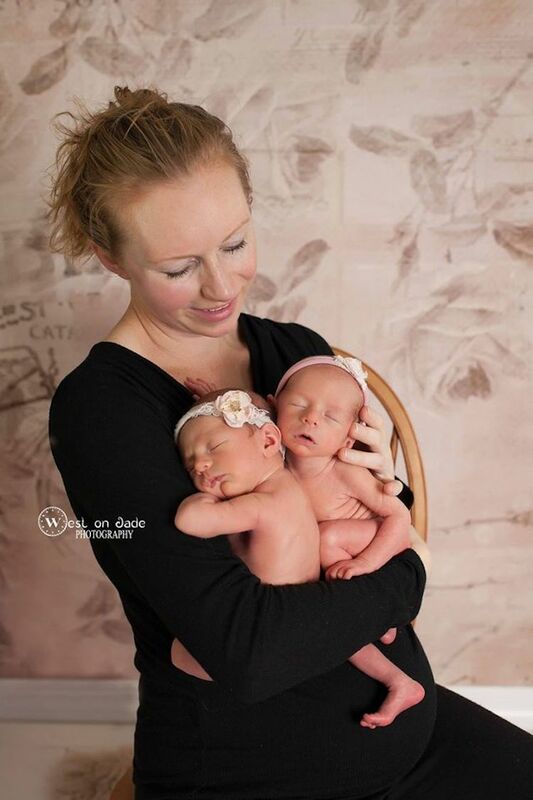 Nico and Siena were very excited to meet their new siblings; for months, they snuggled with Nikki’s belly, talking to the then-unborn babies. 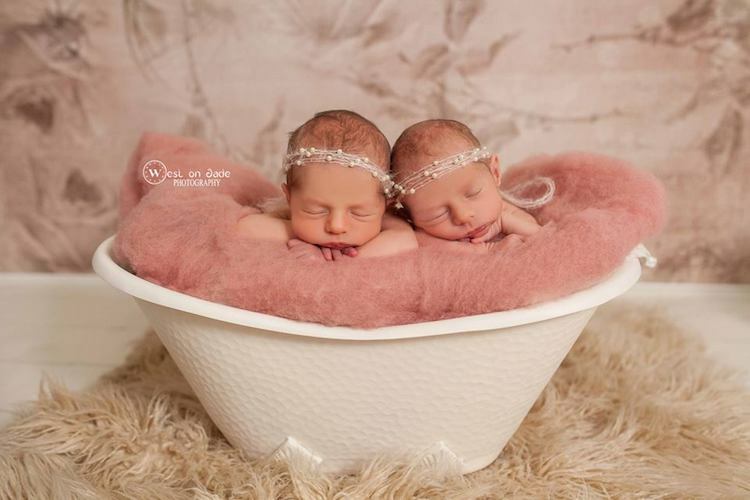 “Now that they [Gia and Gemma] are here,” Cannici told The Huffington Post, “they [Nico and Siena] are incredibly gentle with them, and love holding and feeding them. 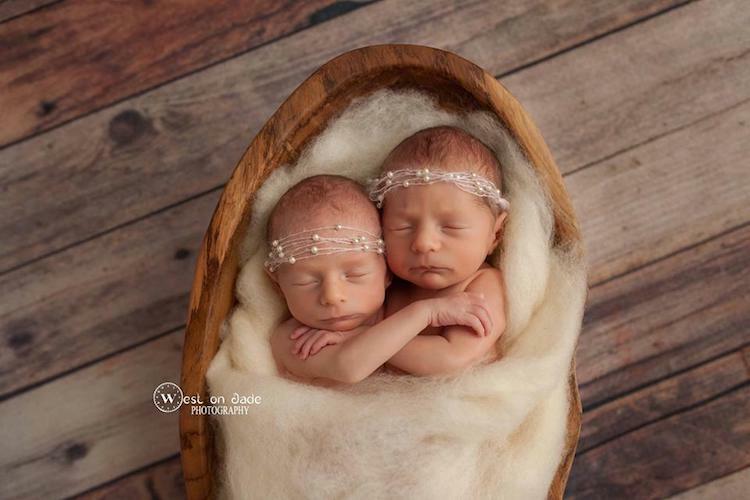 It is so amazing to see.” Naturally, Cannici wanted to capture her own twin photography to remember these fleeting moments. Once Cannici realized that that the fancy clothes were out, she took Nico and Siena out of their costumes and let them play. 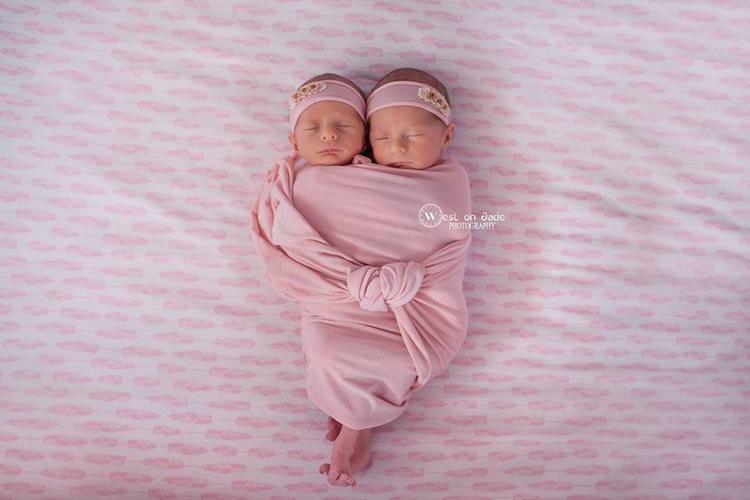 Afterwards, the family reconvened in the studio where Nico and Siena snuggled with Gia and Gemma. 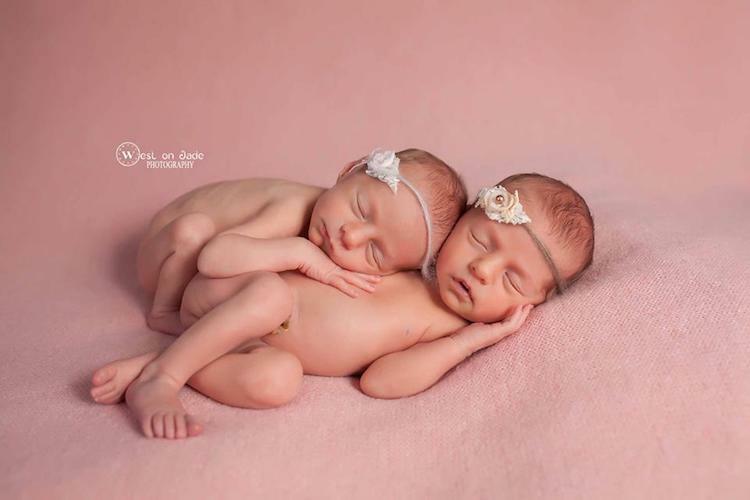 “They immediately held hands and wrapped the other arm around their baby sisters,” Cannici said. 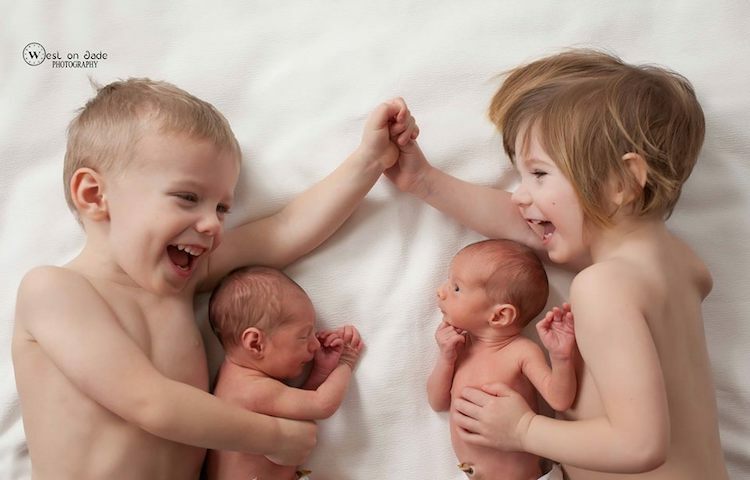 “I got them to smile by asking them to ‘act goofy,’ which they recently decided is just a hilarious saying.” It’s then that she snapped the sweet photo of the four of them—Nico and Siena are all smiles as they each hold a twin. 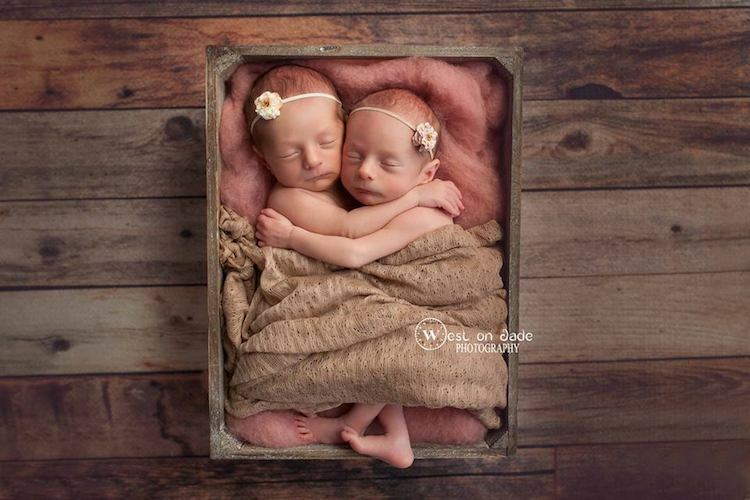 The candid portrait shows the heartwarming bond of siblings. 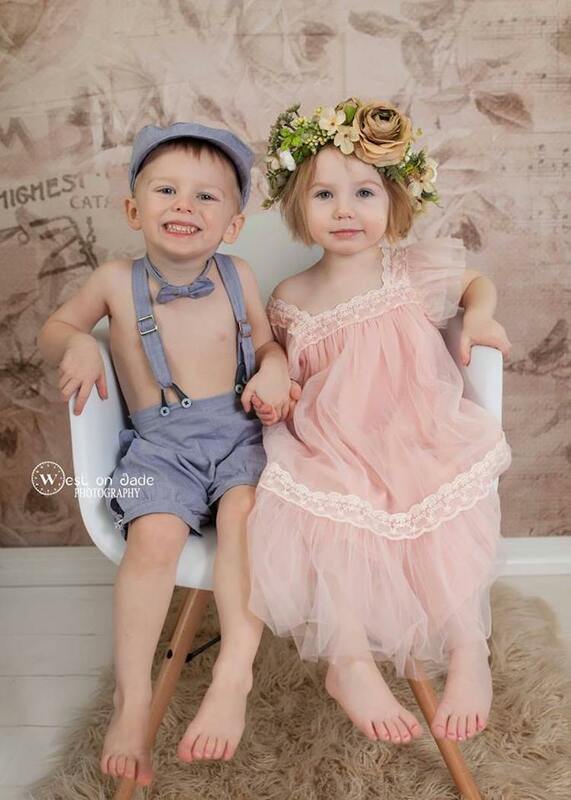 Here’s how Nico and Siena looked when posed in their fancy outfits. Siena is NOT having fun. 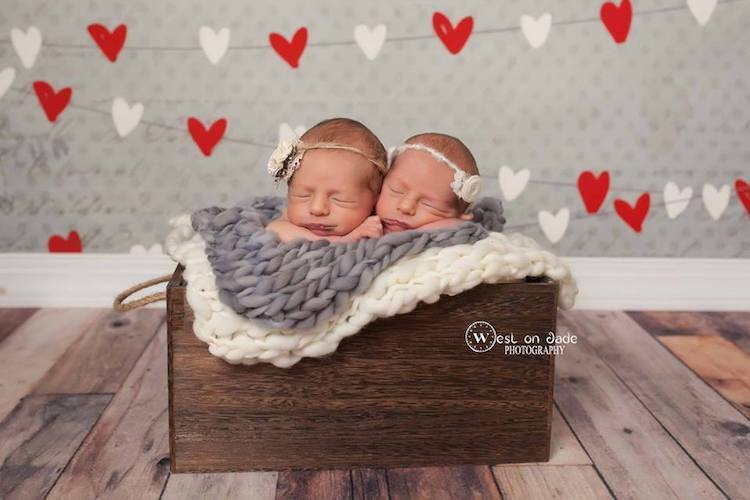 There were some other darling portraits from this twin photography shoot, too. Gia and Gemma with their mom, Nikki. All images via Juliet Cannici.